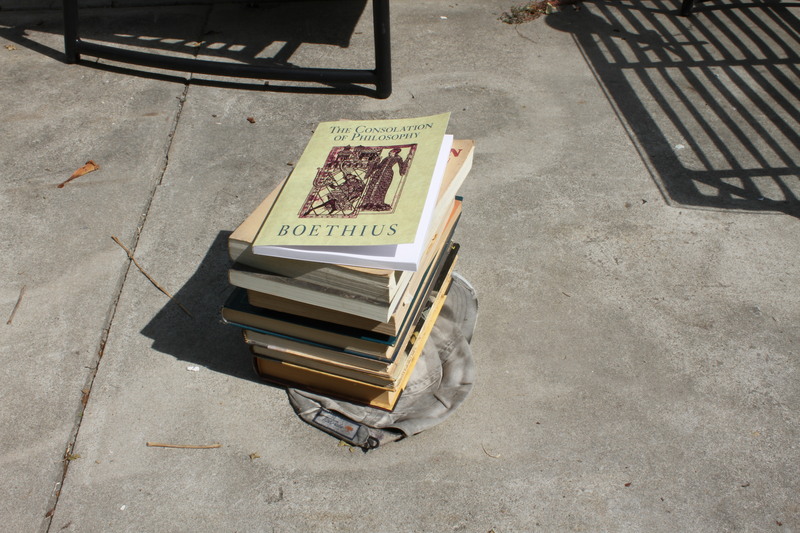 It has recently become clear to me that in this day and age the only non pretentious function of books is to keep your hat flat. In the past the book on the top of the pile (written AD 523) had another function… it was the mantra by which the fictional character Ignatius J Reilly lived and understood his life in John Kennedy Tooles novel A Confederacy of Dunces (written 1963). Through the outsider Ignatius we spiral through New Orleans to the will of Fortuna: “Oh, Fortuna, blind, heedless goddess, I am strapped to your wheel”. I’m here searching for that wheel. Maybe I can get into its slipstream.